Whenever the 1980’s Denver Broncos are brought up the first player that comes to mind is John Elway. Rightfully so as he led one of the NFL’s most successful teams during the decade. However his teams did have some great talent on them. Did you know LB/DE Karl Mecklenburg, FS Dennis Smith, and SS Steve Atwater have been Pro Football Hall of Fame semifinalists in the last couple years?? If we rewind the clock to 1989, Atwater was a wide-eyed rookie learning the ropes under Smith’s tutelage. Big hits rang up all year as receivers ducked for cover against these big safeties. Smith was a Pro Bowl player in 1989, the 3rd of 6 trips to Hawai’i after an 82 tackle 2 interception season. The intimidation factor they brought led the Broncos to a #3 defensive ranking overall or #2 in the AFC, and yielding the fewest points in the league with 226 points. In each of the Denver Broncos Super Bowl seasons they fielded a top 10 defense. 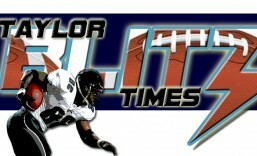 Unsung players like Simon Fletcher and Michael Brooks made the back 7 one of the best during this era. Another factor in 1989 was the Broncos finally landing a top running back in rookie RB Bobby Humphrey out of Alabama. He was Denver’s first true breakaway threat since Floyd Little. He rushed for 1,151 yards and 7 TDs after starting the season on the bench. 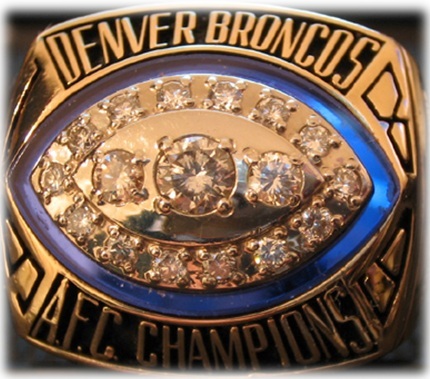 Denver climbed to #6 in rushing where they had ranked 20th in the 1st Elway era Super Bowl team in 1986. Yet alas this team ran into one of the all time great teams in Super Bowl history. 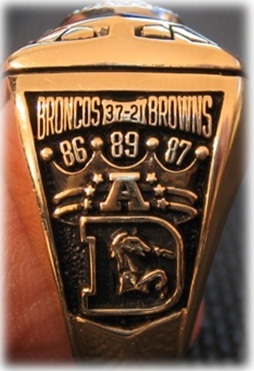 This is the championship ring won by Denver after beating Cleveland for their 3rd AFC championship in 4 years.